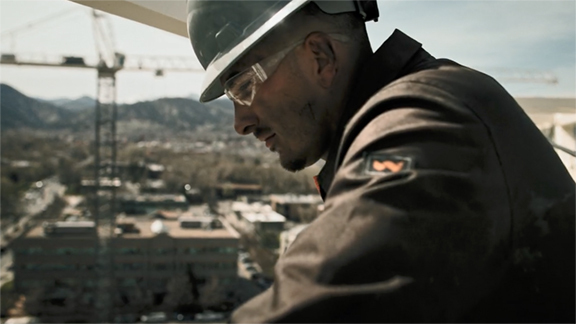 I was honored to learn that the Walls Workwear TV commercial I directed and DP’d for Walls Outdoor Goods with 2TWO1 agency has just won a national 2017 Telly Award. The Telly Awards feature the best of the year’s video and film projects, and the competition receives over 13,000 entries annually from small production companies like myself as well as big wigs like Conde Nast and ESPN. This was a particularly fun assignment, as my team and I filmed on several active job sites with heavy equipment including backhoes, cranes, logging trucks, welding equipment and more. 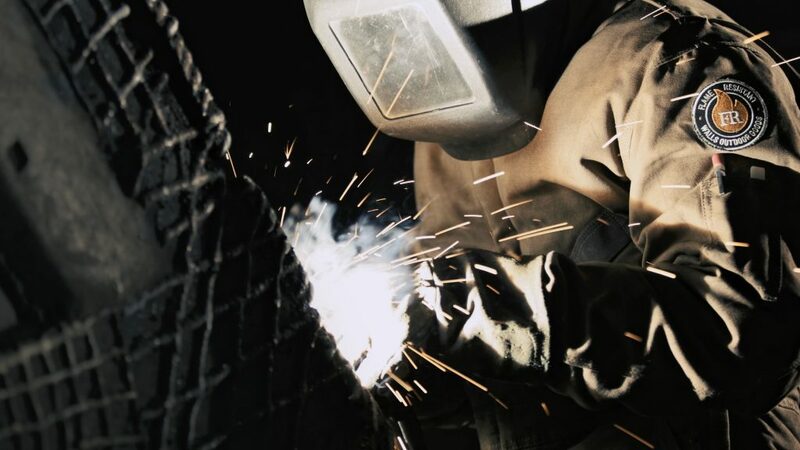 These locations and equipment really helped create a dramatic and realistic atmosphere that echoed and illuminated the toughness of the Walls Workwear clothing itself. To stay as nimble and efficient as possible, I shot with the Canon 1DX Mark II camera, a favorite of mine as described in my What’s In My Camera Bag post. The 1DX Mark II features the ability to shoot 4k video at up to 60 frames per second. This allowed us to have two small cameras covering different angles quickly and in creative positions. See the behind the scenes video below to see how effective this system is in action. Nick Lofting, the talented Denver editor at Futuristic Films, brought a dynamic and edgy feel to the commercial, and Johnny Sirotek did the color grade. It is always a joy to work with them and the post-production crew at Futuristic. I would like to thank our entire team, as this commercial was truly a team effort — my contribution is dwarfed by all the thoughtful work contributed by the ad agency, the client, and the entire production crew. The final product really displayed all the work that was put in by a great team. And see a behind-the-scenes video produced by Canon here.